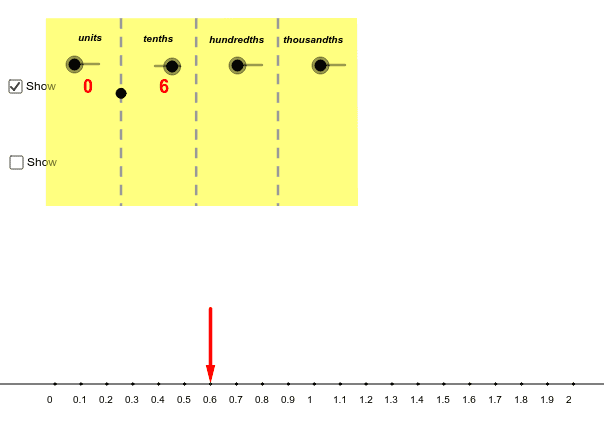 Use the sliders to observe how each decimal place affects where the point is located on the number line. With regards to the number line, which number is larger: 0.7 or 0.11? How can you tell?